Located in Goslar Rural District, this hotel is 2.3 mi (3.7 km) from Gustav Adolf Stave Church and within 9 mi (15 km) of Oker Dam and Osterode Old Castle. Old Town Hall and Goslarer Rathaus are also within 12 mi (20 km). Located in Goslar Rural District, this pension is within 9 mi (15 km) of Gustav Adolf Stave Church, Osterode Old Castle, and Oker Dam. Old Town Hall and Harz National Park are also within 12 mi (20 km). Located in Goslar Rural District, this cabin is within 9 mi (15 km) of Gustav Adolf Stave Church, Oker Dam, and Osterode Old Castle. Old Town Hall and Harz National Park are also within 12 mi (20 km). Located in Goslar Rural District, this vacation home is within 9 mi (15 km) of Gustav Adolf Stave Church, Oker Dam, and Osterode Old Castle. Old Town Hall and Harz National Park are also within 12 mi (20 km). How Much is a Hotel Room in Clausthal-Zellerfeld? 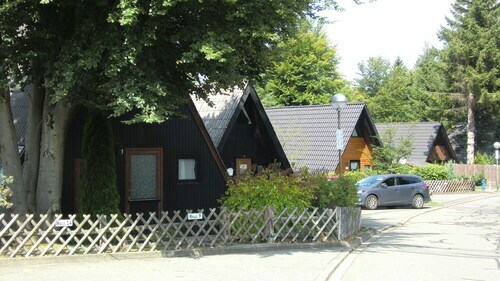 Hotels in Clausthal-Zellerfeld start at $74 per night. Prices and availability subject to change. Additional terms may apply. Want to explore Harz? Desire somewhere to rest and relax? Travelocity boasts an extensive range of options. Modern travelers using Travelocity can dream about resting in 11 great hotels and apartments within a 6-mile (10-kilometer) distance of downtown. The Ringhotel Zum Harzer is a great option for your stay because it is one of the best-located accommodation options, one of not many options within an easy walk of the Clausthal-Zellerfeld center. 11 miles (18 kilometers) away from central Clausthal-Zellerfeld, you can find the Braunschweiger Hof. Alternatively, the Hotel Riemann is situated 13 miles (21 kilometers) away. Two other Travelocity-listed places to stay in the area include the Harzhotel im Tannengrund and the Hotel & Restaurant Zum Röddenberg. If you have time, adventurous travelers could discover the sights of Saxony-Anhalt. Saxony-Anhalt is the home of forests, rivers, streams and lakes. The most popular traveler places of interest include castles. Common pastimes in this particular part of Germany include snowboarding, skiing and cross-country skiing. Are you looking for things to do? Spend some time enjoying Goslar Imperial Palace and Mines of Rammelsberg, which can be found in Goslar, 8 miles (13 kilometers) northeast of Clausthal-Zellerfeld. 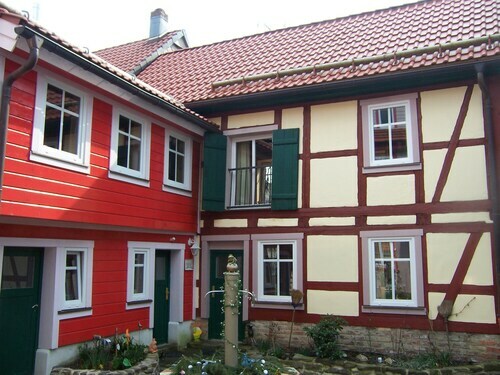 The Altstadt Hotel Gosequell and RAMADA Hotel Baeren Goslar are a handful of the Travelocity-listed lodging alternatives in Goslar. Alternatively, you could stay in Sorge, 17 miles (27 kilometers) southeast of Clausthal-Zellerfeld, where you can choose between the Hotel Tannenpark and Landhausferienwohnungen Am Brockenblick. The Grenzlandschaft and Museum Sorge and Ring der Erinnerung are more frequented places to see when in Sorge. Consider spending an afternoon enjoying the skills of players in the company of sports enthusiasts at a community game. You'll find HDI Arena 45 miles (75 kilometers) to the northwest of Clausthal-Zellerfeld. Wise travelers wishing to find a hotel in the area around the game can compare the Cityhotel Königsstraße or the Sheraton Hanover Pelikan Hotel. Located 55 miles (86 kilometers) from Clausthal-Zellerfeld's downtown is Hannover Airport. Find nearby Travelocity-listed accommodation at Leonardo Hotel Hannover Airport or Maritim Airport Hotel.